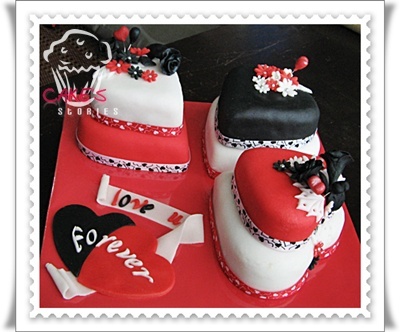 Another set of mini-cakes waiting to be touch-up by these ‘gebu’ fingers…hehehe. Ideas by ideas passing by after receiving a call from my close fren-Pn.Sabariah, requesting a special gift wedding hantaran for her nephew. 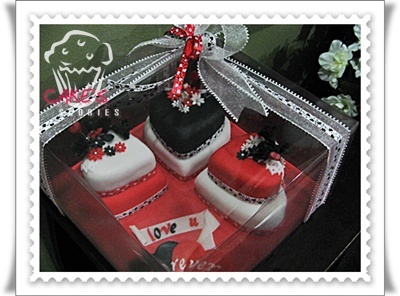 Tq again and again for the order and for being loyal to cakeStories! I put on all my effort to make this happen, keep reminding myself that good food comes from the heart! Red carpet and black formal dresses…..does it look good enough? 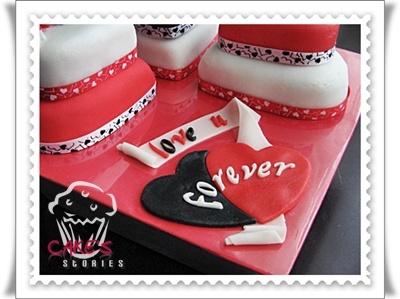 I believed, combination of the best colors will make it a delight for both the taste buds and the eyes. First and foremost, i really enjoy what I’m doing…..For both the bride and bridegroom, this is the first step into a real live journey together and my doa….put all the warmest love and caring together till end. Amiin…. 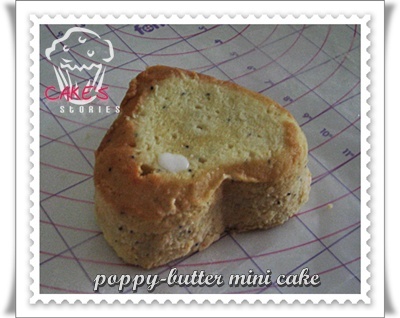 I made her poppy-butter mini cakes (heart-shape). This is what it looks like before it dress-up. 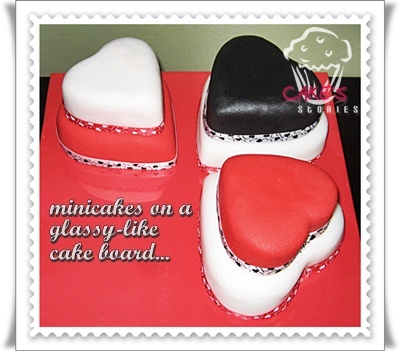 First time using a homemade glassy look-like cakeboard……just want to make it different from others. Love u forever……huh! very romantic nyerrr….